Soon after the fire accident was reported, five fire tenders reached Byculla's vegetable market to douse the flames. 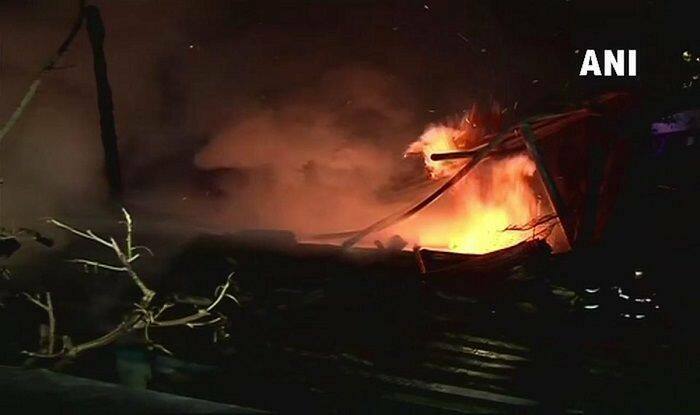 Mumbai: A fire broke out at Mumbai’s Byculla vegetable market on Sunday night. After news of the accident was reported, at least five fire tenders rushed to the spot to douse the flames. Meanwhile, a fire-fighting operation is currently underway. No casualties have been reported so far. More details are awaited. On Sunday, a fire broke out at an operation theatre situated on the ground floor of All India Institute of Medical Sciences Trauma Center (AIIMS). As many as 24 fire tenders responded to the accident took place at around 6 PM.